Create: Raise a glass to 2014! Our pals Sara and Andrew never roll up to any event empty-handed. In fact, they are too generous with their gifts of homemade marmalade, sugary cakes and my favorite of their specialties – cranberry shrub. It’s a refreshing way to toast the new year, and here are five ways they suggest to mix up your shrub. * Pour over ice and top with club soda. * Mix with sparkling white wine. * Muddle with an orange slice Then add ice, bourbon and top with club soda. * Mix equal parts orange juice, tequila and shrub. * Shake with ice and equal parts shrub, gin, sweet vermouth and strain into a glass. 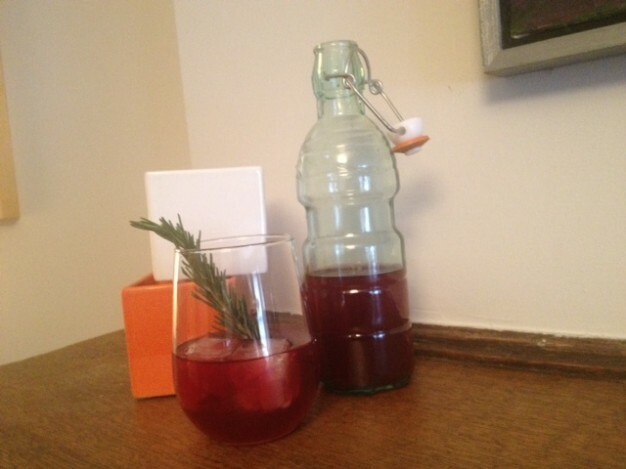 This entry was posted in create and tagged cocktail recipes, cranberry shrub, create, happy new year by lhouse. Bookmark the permalink.